As an educator, I believe that for my students to always be learning and growing, I need to always be learning and growing as well. I’m very passionate about always taking on new challenges, and a big part of my mission and goal is to support my fellow teachers in taking on new challenges too. What that means in my practice is that I spend a lot of time talking with educators about equity and culturally responsive teaching. As an equity leader in the field – who regularly helps develop and deliver professional development – it can be tough to walk into a space to lead a conversation and realize I’m the only person of color in the room. I’m extremely uncomfortable at times, but I believe the message and the work are more important than my comfort. So in those moments, I believe the best approach is to own the discomfort. I openly share any feelings I might have as part of our discussion. I let them know I’m coming from a place of love. I tell them, “What I say is not intended to hurt anyone personally, but it might make you feel sensitive or uncomfortable. And that is how I feel, as an educator of color, almost all the time.” And it’s how a lot of our students feel, too. 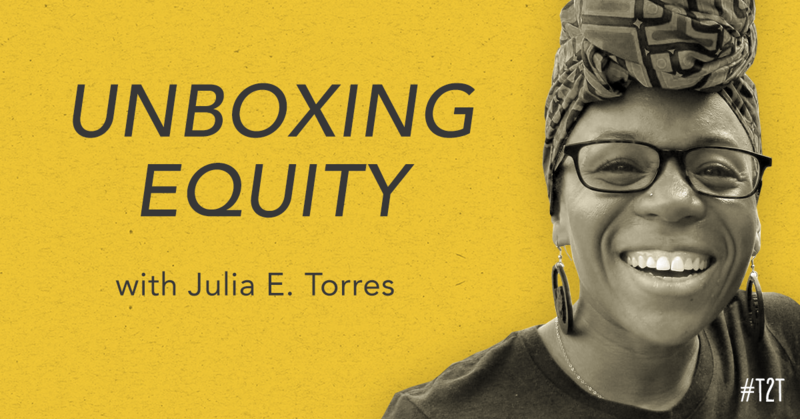 As teachers, we’re all in different places in our understanding of what equity looks like in the classroom, but here is what equity means to me: thinking about a classroom as a space where everyone has access to the same learning and the same optimal conditions for nurturing intellectual curiosity. We all need to do that internal work of wrestling with our own privileges, biases and assumptions about learning and learners if we want our classrooms to be truly equitable. We need to examine the ways we may have benefitted from privilege and power afforded to us by society and the ways we uphold structures that often result in the oppression of others. And that’s probably the hardest part, because maybe you didn’t ask for privilege – but society will give you privilege, whether you want it or not. How are you acknowledging your own power in the classroom? 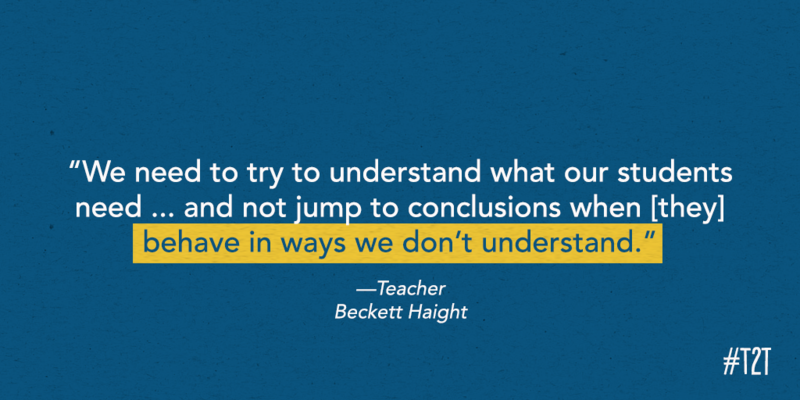 How might you decenter yourself, as the teacher, in lessons, activities and conversations? How might you share power with your students and give them more ownership over their learning? How might you approach fellow teachers and encourage them to ask themselves uncomfortable questions as well? I believe that together, we can all move further into our understanding of culturally responsive teaching and culturally sustaining pedagogy. When we engage in culturally responsive teaching, we shift our thinking to create equitable learning environments by being responsive to students’ unique cultural identities and methods of learning. Additionally, culturally sustaining pedagogy is a way to include the richness of cultural diversity throughout instructional content. It means making sure one culture doesn’t dominate and that a variety of views of the world, histories, communication norms, narratives, and accepted truths are represented. These mindset shifts are critical to our growth as educators and to our students’ growth. It can be uncomfortable for educators to be in a student’s position – a position of needing to learn a lot. But, as we are always telling students, there can be no growth without a measure of discomfort. 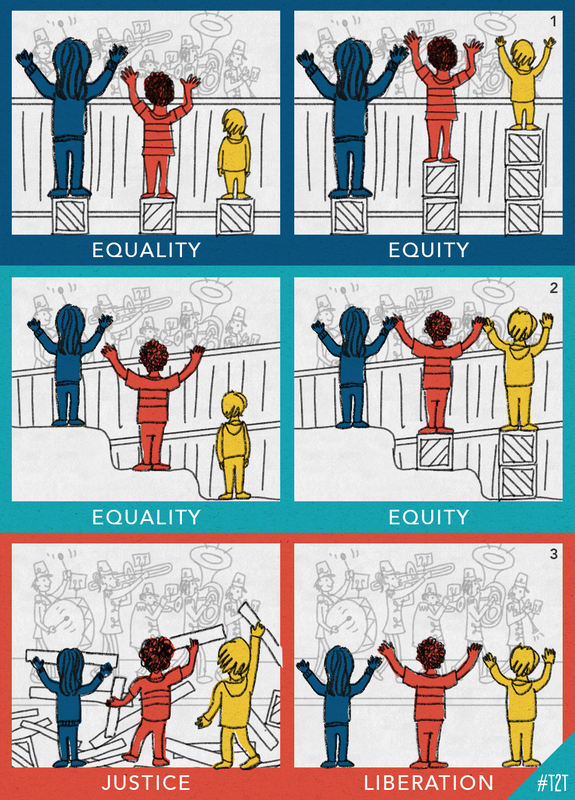 There’s not one right way to advance equity in your practice, either – everyone learns in different ways. Some teachers process the intersection between racial dynamics and education through a solid list of books they read and discuss with other practitioners. I recommend book clubs as vital ways to spark conversations around powerful and transformative titles. If you’re looking for texts for a book club in your school, I always start my workshops with bell hooks’ Teaching to Transgress and Django Paris’ Culturally Sustaining Pedagogies. Pedro Noguera has some great works, and I really like Zaretta Hammond’s Culturally Responsive Teaching and the Brain, as well as Paulo Freire’s Pedagogy of the Oppressed. Some teachers need to be encouraged to engage in discomfort. Open, honest conversations with colleagues can really build a trusting place to start examining your privilege alongside a few other friends. If a school community is like a body, then all the crucial parts need to come together to ask: What are the ways our biases are harmful to our organism? How can we heal? The important thing is that everyone learns, especially teachers, as we are the ones modeling the process of being lifelong learners for our students. We show our students we are doing our best to build equity around us and for them when we read, discuss, and move to enact change that will improve conditions and environments for everyone. 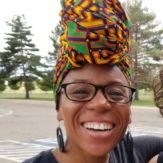 Julia E. Torres is an educator in Colorado. Follow her on Twitter @juliaerin80.